The labor market does a poor job of matching employers with employees — in hiring, and in educating and retraining them to meet employers’ needs. Justin Cornett’s story had been a 21st-century economic nightmare. He worked for 13 years on drilling rigs at a crude oil company near his home in Dorton, Kentucky. Then it halted production, and he was laid off. At 33, with two children and a mortgage, he couldn’t find a stable new job of the kind he had trained for, because all the oil and coal mining companies in the area were shutting down. 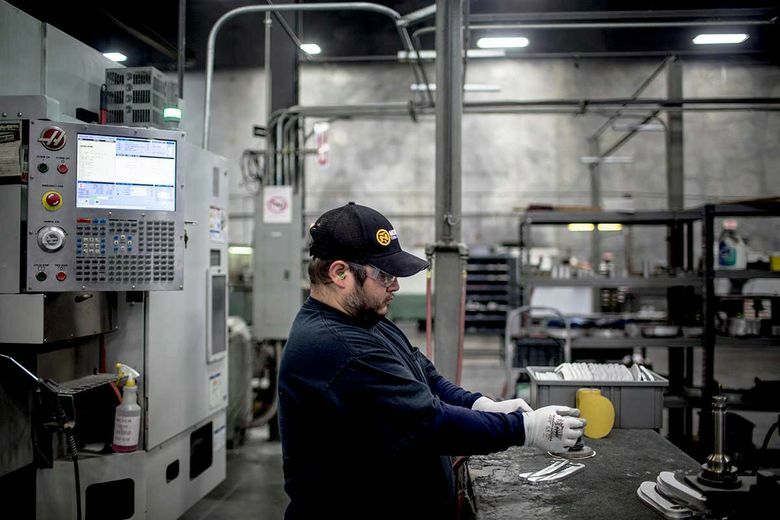 If his story’s ending sounds like a fairy tale, that’s because it is for many workers like Cornett — people without college degrees who work in occupations that are shrinking, with few other local options for the skills they have. “The U.S. faces a serious skills gap,” R. Alexander Acosta, the secretary of labor, said last month when the Trump administration introduced steps to address the challenge. Even if workers want to learn new skills and find new occupations, there is no streamlined way to do so. People procrastinate, inaccurately assess their own abilities and are unaware of what other jobs entail, according to behavioral economists. The United States spends a fraction of what other developed countries do on labor market adjustment programs like job counseling and retraining. Assistance is piecemeal, and many people who qualify don’t use it. Laurel Yoder’s career is an example of how jobs can overlap in unexpected ways. She was a paralegal for six years, until she attended a friend’s childbirth and decided to become a doula, helping women in labor. She eventually went back to school to get degrees in nursing and midwifery, and is now a nurse-midwife in St. Joseph, Michigan. Being a midwife is also future-proof in a way that being a paralegal isn’t. “This job will always be present because people will always be having babies,” said Yoder, 32. He hadn’t considered advanced manufacturing until he heard about a local training program from a friend. It’s a natural jump for unemployed miners in Appalachia, said Kathy Walker, founder of the program, the eKentucky Advanced Manufacturing Institute. Several new job boards, including Opportunity@Work and Skillful, use this approach to match workers with employers, job coaches and training programs based on skills instead of credentials. Additional reporting by Qouctrung Bui of The New York Times.